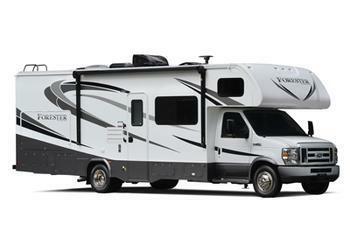 Forest River is recalling 43 model year 2016 Forest River Foresters, model year 2014-2016 Forest River Sunseekers & Coachmen Leprechauns, model year 2014 Coachmen Concords, and model year 2014-2017 Coachmen Freelanders, built on Chevrolet chassis and equipped with power windows. Liquid may leak into the driver's power window switch and cause corrosion, resulting in high electrical resistance, increasing the risk of a fire. Forest River has notified owners, and Chevrolet dealers will replace the driver side window switch, free of charge. The recall began July 24, 2018. Owners may contact Chevrolet customer service at 1-800-630-2438, Forest River Forester and Sunseeker at 1-574-206-7600, Coachmen Concord, Freelander, and Leprechaun customer service at 1-574-825-8602. Forest River's number for this recall is 51-0781.